You won’t see her in anything ~kyeopta~! 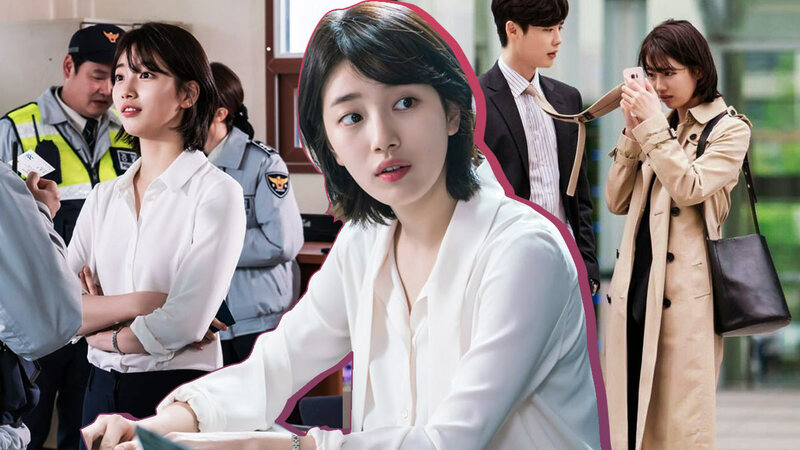 Suzy’s Hong Joo in While You Were Sleeping is far from the damsel in distress—she's smart, strong-willed, and has a sweetheart to save, no less. 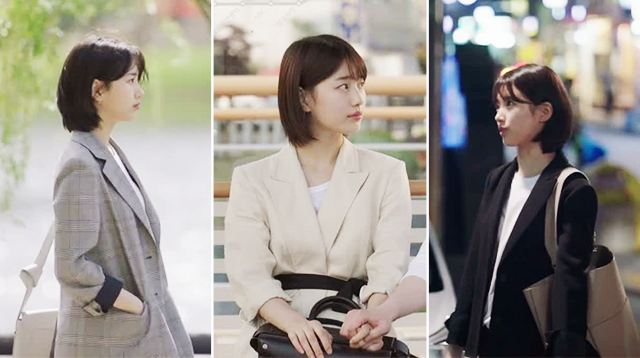 JSYK, Hong Joo is the type who can do well on her own. She’s not the girl who’ll risk freezing outdoors so a guy could take his coat off and lend it to her for extra warmth. 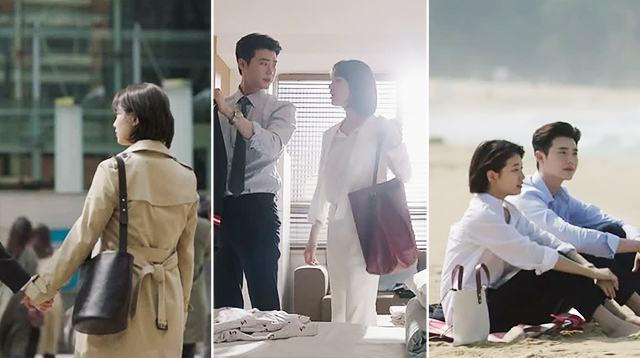 All Hong Joo needs is a fuss-free bag with no elaborate flaps or locks, so that she can easily get hold of her pen and notebook, or whatever it is she needs to get her story done. In true journalist fashion, Hong Joo is often seen in trench coats and jackets that have huge lapels and lots of pockets—again, showing us how she prioritizes function and purpose over looking pretty. Of course, what could be easier to mindlessly throw on than a crisp white shirt that goes well with everything? 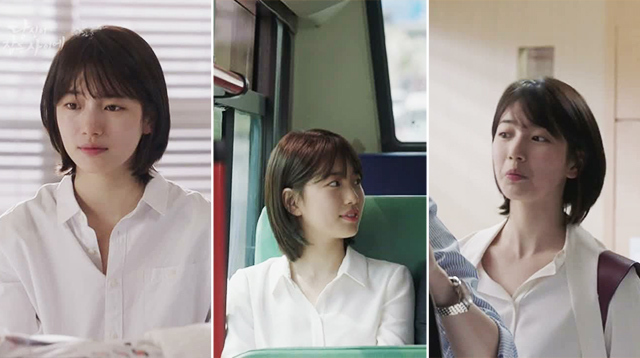 Look closely and you’ll see how Hong Joo’s stocked her closet full of it—white shirts that vary only in little details. 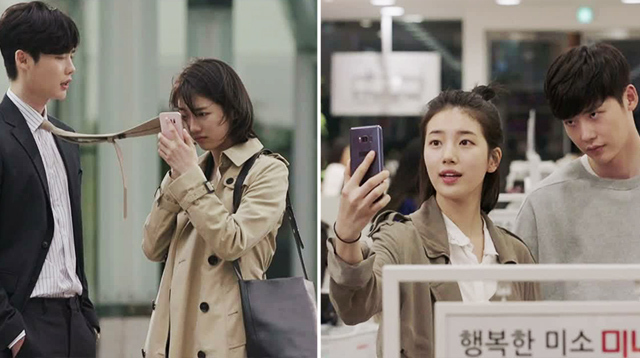 Far from idol Suzy who’s usually in A-line minis, Hong Joo likes her skirts long and midi-length, at the shortest. Her favorite style is the wrap skirt, a tiny touch that makes her outfit more feminine than usual.